Two books on Netaji Subhas Chandra Bose have been published so far this year. Both are written by distinguished historians who have brought to bear their distinctive styles and considerable accomplishments for further stimulating the academic-public discourse on one of the outstanding political personalities of Indian history. Purabi Roy is someone more than a historian. An archivist par excellence, she has painstakingly collected, assessed, organised, preserved and laid out on a platter for future generations of academicians documents on not only Netaji, but also the events and characters linked to his exciting career in India, western Europe, Japan and Soviet Russia. As for Sugato Bose, his historian-plus factor is the literary hand which has led to the foregrounding of Netaji’s human side even as he guides the reader through the dense tapestry of Netaji’s struggle. At the end, one wonders if any more trees need to be sacrificed for producing additions to the great library of published works on Netaji, to which Sugato Bose had notched three before the one in question — all in combination with his late father, Sisir Bose. A magnum opus was perhaps only to be expected and now that he has delivered it, where lies the scope for more? The answer to that is provided by Purabi Roy, albeit in dense codes. She seems to be trying to plead “no more hagiographies please”, and goes on to hold up document after document representing an exciting array of possible research areas over the next 200 years. A few of these have found their way into the Netaji Research Bureau, but a great many others are drawn from libraries and storehouses of institutions, universities, government record rooms, military archives and, of course, communist party offices on the other side of the iron curtain. In the mid-1990s, Roy went to post-communist Russia as part of a three-member team of academicians deputed by Asiatic Society, Kolkata, to study records preserved in communist foundations in order to form an understanding of the extent of the contribution of the Comintern and its Indian members to India’s freedom struggle. In WW-I, Japan was an ally of British. Before WW-II, Japan-US trade war and political war started, this led to actual war between US and Japan. So British became an enemy to Japan by diplomatic manipulation as US - British alliance was there. After WW-II, Japan revived their old connection with British via spies. Japanese and British spies were enough linked before WW-II. 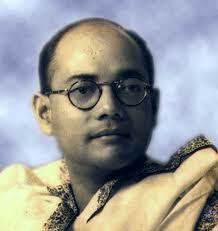 Japanese spies agreed to eliminate Netaji. Motive was to appease the British and purchase security for Japan royal family. Thus, Japan sold Netaji to British and British eliminated him. The false news of air crash was Japan’s fabrication. In any controversial case, liar is to be suspected first. But then, who went shaking hands with fascists like Hitler, Mussolini and Tojo? some believer of fake propaganda history written by some puppets of traitor Nehru dynasty and their supporters. Plenty of contradictory and funny logic as Japan and British were always fighting, while the comment is saying Japan and British were in very good relation via spies______while Japan supported the cause of Indian independence and Netaji Subhas Bose, this comment claiming, Japan killed Netaji or handed over Netaji or agreed to eleminate Netaji_________some people even todays time claim going through painted history, that, INA attacked India with Japanese army, which is base less, the truth is INA leaded by Netaji attack British ruler of India and their Royal Indian Army, where maximum of soldiers were Indian and even he was running the first Indian provincial govt with the tricolor having symbol of 'charka' (mainly that flag very much alike with Congress flag that time).____________ we are uncultured and traitors, but not Japanese, still till date, they love and respect Netaji probably more than us. What is the harm of shaking hand with Hitler/Mussolini/Tejo for our own freedom and it was not as principle but of positioning on situation for ourselves. I wonder, how these people's mentality is (? ), they praise Nehru Gandhi, who were too much friendly British and even a silent supporter of torture and killing of freedom fighters. How unfortunate we are, brainless, thoughtless, logicless, puppets and traitor are maximum in our land. these people are NATIONAL SHAME.